If you’ve been too caught up with work and let the festive season slip off your mind, fear not as we have a short and exclusive list of fine dining options that are still available during Christmas time for dinner with friends and loved ones. 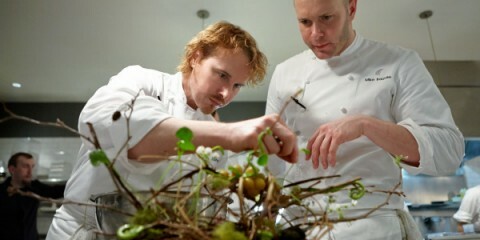 Surely, the sport of fine dining extends past the palate into art and human experience. Find your quick gastronomical and experiential dining solution from LUXUO’s shortlist of 3 best fine dining restaurants in Singapore. Created by Executive Chef Tim Lam, the 6-course special is available on the Eve of Christmas, Christmas Day and New Year’s Day. The Michelin-starred Cantonese restaurant makes every component from scratch, and only the freshest ingredients are used. Inside the restaurant, the stately oriental decor provided a regal atmosphere. 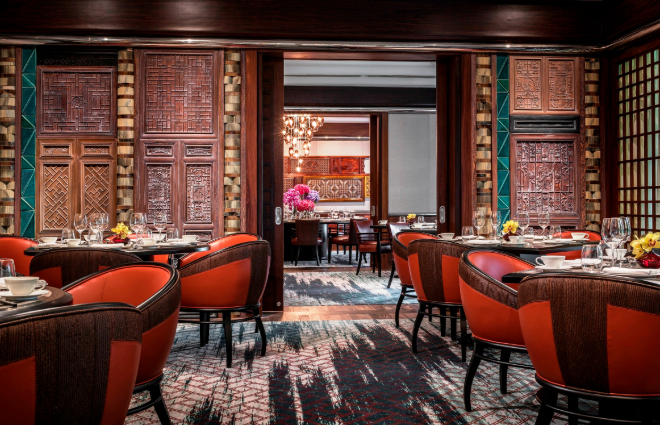 Inspired by elements of the Jiang-Nan region such as the Yangtze River and shades of royal Chinese palaces, the thoughtfully ornamented space is suitable for get-togethers of all ages and occasions. Our favourite dish was the Steamed Cod Fillet with Green Ginger. The nondescript dish did not catch our attention until we had a taste. There was ample bite to the fresh cod fillet that went perfectly with the special blend of green ginger gravy that bursted with flavour, and yet, managed to remain perfectly light and balanced in taste. Order the Cha Wang – crowned the best tea in China – to go with your meal. 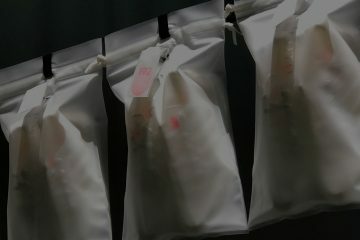 Although we expected the ginseng content to turn out bitter, the special blend of oolong and ginseng left a pleasant nectarous aftertaste with light floral notes. 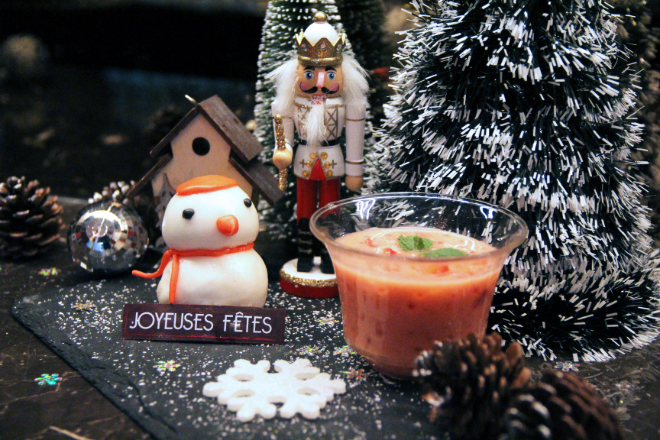 The 6-course Christmas and New Year Set is available at SGD$188 per pax. For reservations and enquiries, contact +65 6831 7220 or email [email protected]. Helmed by Chef Andrew Walsh, who has a long resume filled with Michelin-starred restaurants, CURE is a critically-acclaimed restaurant tucked in the neighbourhood of Keong Saik road. 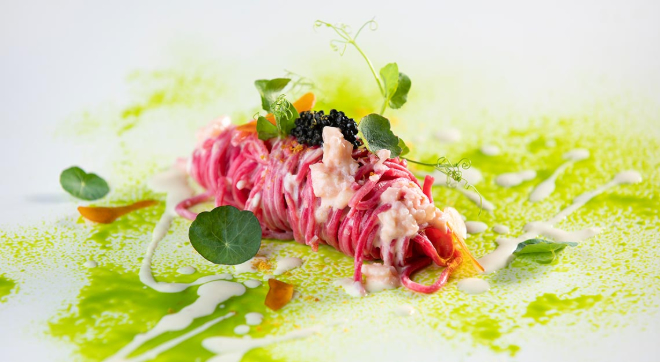 The fine dining bistro sits only 40, but boasts one of the best fine dining experiences in Singapore with its ever-changing menu based on the best seasonal produce Chef Walsh is able to lay his hands on. CURE claims to be a “modern day urban neighbourhood restaurant”, but ambience of the space is far from the archetypal minimalist-chic character of most cafes today. Down to the bespoke cutlery, the restaurant provides an intimate experience for diners, marked by its festive menu. 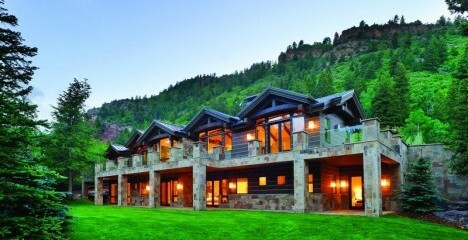 Choose from a 5-course or 7-course menu with optional wine-pairing. For mains, we recommend the Red Snapper with Jerusalem Artichoke and Grains or the Beef Short Rib Pastrami with Sour Cream and Red Cabbage. Round off your meal with the Christmas Fruit Meringue. The 5-course menu is priced at SGD$130 and the 7-course menu at SGD$160, with optional wine-pairing at additional cost. For reservations and enquiries, contact +65 6221 2189 or email [email protected]. Il Cielo marries Italian gastronomy with a signature Japanese flair. 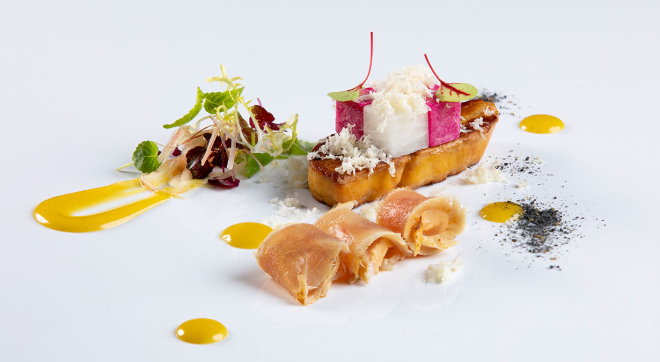 Situated at Level 24 of Hilton Singapore, the rooftop Italian restaurant is headed by Chef Yohhei Sasaki, who has spent years in the kitchen of top Michelin-starred Italian restaurants in Tuscany and Lombardia. Chef Sasaki’s specially curated 6-course menu features a Foie Gras & Buri Daikon (with Yellow Tail, Japanese Daikon, Horse Radish and Yuzu Miso Vinaigrette), a Pan-fried Kinmedai ‘Aqua Pazza’ (with Japanese Clam Aqua Pazza Sauce, Winter Turnip and Green & Red Shiso Salsa Verde), and a Roasted Veal ‘Saltimbocca’ (with Mixed Berry Sauce & Veal Jus, Winter Black Truffle, Winter Vegetables, and Matcha Crumble). The Festive 6-course menu is priced at SGD$138++ per person. For reservations and enquiries, contact +65 6730 3395 or email [email protected].